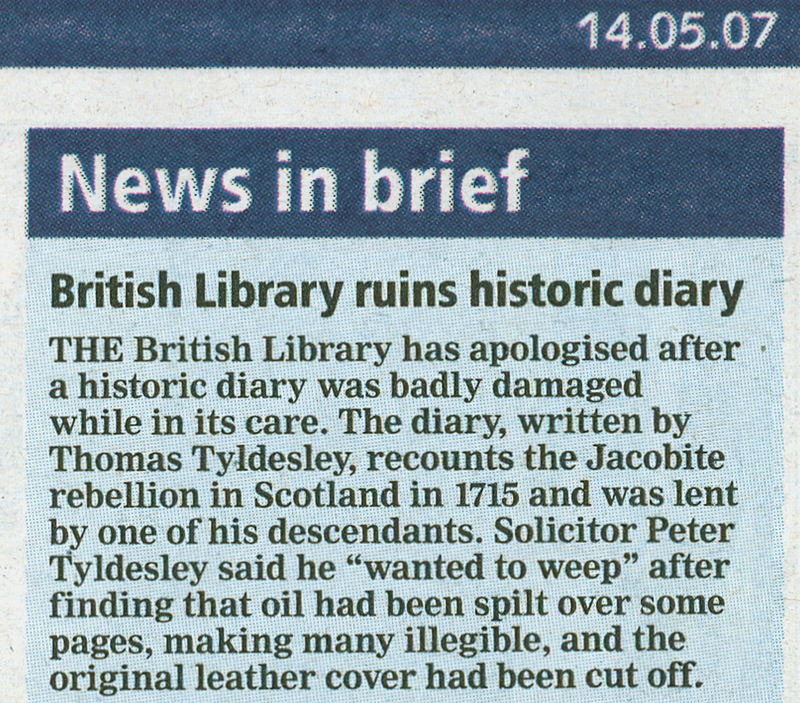 THE British Library has apologised after a historic diary was badly damaged while in its care. The diary, written by Thomas Tyldesley, recounts the Jacobite rebellion in Scotland in 1715 and was lent by one of his descendants. 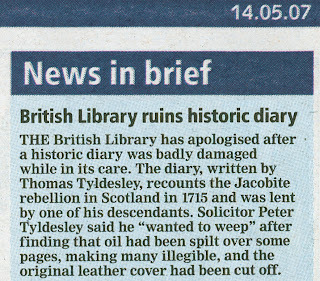 Solicitor Peter Tyldesley said he "wanted to weep" after finding that oil had been spilt over some pages, making many illegible, and the original leather cover had been cut off.